Home » Blog » The role of technology innovations: How will it affect you? A lot has changed in the past decade when it comes to security technology. The shift from analogue to digital changed the industry, along with the technology used to support these new tools. With new software constantly in development, it’s likely that new technology is just around the corner. Whilst developments for installers are mostly positive, there can be some negatives too. What’s next for security technology? The Cloud: The cloud is still a big buzzword for security technology. 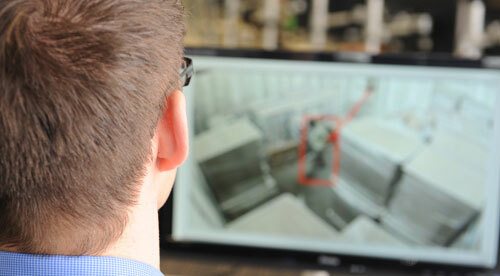 With digital cameras came the rise of cloud storage for CCTV footage, and maintenance. The cloud is set to play an important role in the development of security technology over the coming years. We recently launched SureSight+, a cloud security monitoring solution, enabling installers to remotely maintain IP security systems via the cloud. Internet of Things. According to Gartner, there will be over 6 million connected ‘things’ by the end of 2016. Being able to connect seemingly normal parts of a building to a security system can provide greater comfort to the business owner, whilst also improving the protection provided. It’s still in the early stages, but the Internet of Things could prove very useful for large sites in particular, in years to come. Smarter analytics. Moving from passive monitoring, analytics will start to develop into adaptive recognition, becoming more aware of the site it’s surveying. The reporting analytics are not only smarter, but also able to review the layout of a building to make it more secure. But, how does this affect you? Having improved technology won’t just improve security, but also the communication you can have with your suppliers and customers. With security monitoring now available through the cloud, it’s easier to review the installations you’ve made, contacting customers through these online systems to update them on your progress. However with more technology moving online with the rise of the Cloud and the Internet of Things there are concerns with the transfer of data, and the security of customers CCTV footage. Some customers may be concerned with their information being on the Cloud, but there are always improvements in encryption moving towards an ‘un-hackable data’ state. Some systems are even working towards ‘Quantum Cryptography’ – a piece of technology so sophisticated it can transfer information securely using photons of light. The move towards smarter technology will probably make security monitoring easier, as there is more able technology out there. However, this technology could also be it’s downfall – if the benefits aren’t properly explained to customers, and their concerns about cloud computing aren’t put to bed.